The Japanese Yen depreciated 0.42% since Monday's trading session. The EUR/JPY exchange rate reached the Fibonacci 23.60% retracement at 129.67. 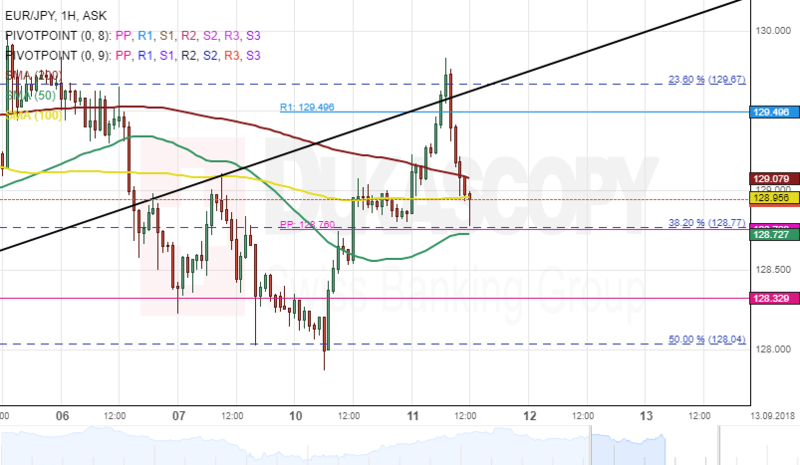 As apparent on the chart, the pair reserved from given Fibonacci retracement and is trading near the support cluster near 129.00 formed by a combination of the 55-, 100– and 200-hour SMAs, the Fibonacci 38.20% retracement and the weekly PP. Downside risks are dominating the currency pair, thus it is expected that the pair will breach given support cluster. If the support cluster holds, expect the rate to consolidate near the weekly R1 at the 129.50 mark.